Whether you’re traveling for business or pleasure, it’s important that you have a good carry-on bag. There’s nothing worse than having to lug a heavy bag around the airport or having your carry-on not fit properly underneath your seat or in the overhead compartment. The best carry-on bags are lightweight, sturdy, compact and on wheels. 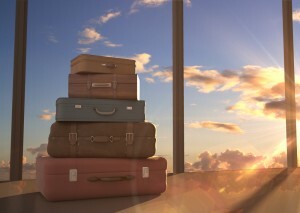 Choose the right size – Airlines have specific guidelines for carry-on bags. They have to meet a certain size requirement in order to be considered a carry-on. To ensure you are choosing the right size bag, check the measurements required by your airline before making a purchase. Know the weight limit – In addition to the size of your bag, there is also a weight limit. When you’re packing your carry-on, make sure it meets the weight requirements for your carrier. Delsey Helium Carry-On Trolley Case – This carry-on is great for any kind of trip. The bag has tons of storage space and is separated into two compartments. The exterior hard case makes it extremely durable, without adding any extra weight. Even with the bag fully packed, it’s exceptionally lightweight, so you won’t struggle to put this bag in the overhead compartment or carry it up and down the stairs at the subway station. Genius Pack 21″ Hardside Carry-On – Like the Delsey Helium Carry-on, this bag is extremely durable and roomy and has a durable hard case exterior. One of the best features of the bag is the interior compartments. The bag offers deep, zippered pockets for storing all your travel essentials. Flight 001 F1 Avionette Carry-On – This incredibly lightweight carry-on bag features a nylon shell and brass hardware. The interior is very spacious, perfect for storing clothing or your laptop and business files with extra room to spare. Like the other bags, it’s very sturdy and durable, making it ideal for navigating through the airport, overhead compartments, subway station and stairs. Is the MLS Catching Up to the European Football League? In the United States, soccer is very popular among our youth. But, when it comes to professional sports, many of our talented athletes neglect soccer for other sports that are arguably more popular, such as football or baseball. In America, baseball is known as our country’s pastime; in Europe it is soccer. 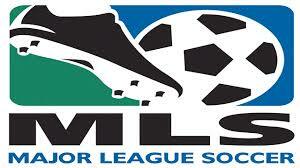 There is a constant debate among soccer fanatics about whether the MLS is inferior to European football leagues. Some people will claim the MLS is an amateur league in comparison to major European leagues. Despite these critics, the talent level of the MLS is catching up to the European soccer leagues and the league itself is gaining popularity. The MLS may not be on the same level as the world’s top leagues, but the league has come a long way in the past decade. While it may be unlikely that the MLS will surpass European teams in talent and skill, the MLS will soon be able to compete on a more equal playing field. Increasing popularity – While other professional sports are more popular in the U.S. right now, soccer is gaining traction in popularity, according to the ESPN Sports Poll. In 2012, the poll surveyed 18,000 people and found one-third identified themselves as MLS fans. This was a 24% increase from five years prior and a 33% increase from 2002. The percentage of people who identified as avid fans also rose, increasing by 35% from 2007and by 43% from a decade ago. Growing talent – The U.S. has never really been a major contender when it came to the FIFA World Cup. Top European teams like Spain and Germany frequent the championship title. However, during the past FIFA tournament in Brazil, the U.S. played strongly. According to FIFA statistics, the U.S. team was ranked as the best defenders in the tournament. Attracting attention – Not only has the MLS increased its talent among U.S. players, but also it is attracting players from the European leagues. Many European soccer stars, such as David Beckham and Cuauhtemoc Blanco have chosen to play in the MLS. Other famous players, including Thierry Henry, have announced they will play for the MLS before retiring.